Though recent drug related deaths at shows have reinforced the stereotype that EDM is fueled by drug culture, that&apos;s not all EDM is about. Over the weekend, two people died of apparent MDMA overdoses at the fifth annual Electric Zoo Festival on New York City’s Randall’s Island, causing the city to cancel the event’s final day. Four more were admitted to hospitals in critical condition, also reportedly after taking the drug. This news came days after reports of an overdose death and two hospitalizations at a recent Zedd show in Boston. 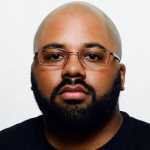 Add that to the suspected overdose death of a man at last month’s HARD Summer festival in L.A., and the rave scene is starting to look like Jonestown set to 128 BPMs. Unsurprisingly, this slew of tragedies at EDM events has reinforced the scene’s stereotype: drug-zonked hedonists dancing to throbbing beats in dark fields, with only the lights of their glowsticks to guide their way. We’re not saying this doesn’t happen, but that’s not the definition of EDM. Look, we get it: EDM has a terrible stigma attached to it. Like most other media-propelled biases, there is some truth to the stereotype. If you’ve been to a rave, you have most likely been asked either if you’re holding pills or if you want to take them. To understand where this came from, you have to understand the marriage of drugs, primarily MDMA, and rave culture. MDMA—commonly known as ecstasy and more recently known in its purer form as molly—was a huge part of the UK’s rave culture in the 1990s. With ravers co-opting the hippie mentality of peace, love, and unity, E pills became the modern LSD. Did people overdose during those days? Definitely. Ecstasy tablets were commonly cut with a variety of other substances, sometimes to lethal effects, causing a government clampdown on raves throughout England. When rave culture crossed the Atlantic and exploded in the U.S., the drugs traveled with it—and so did the occasional death and subsequent negative media attention. Pretty soon, any mention of the word “rave” in the news would automatically be followed by a story about drug use and overdosing. Look, we get it: EDM has a terrible stigma attached to it. Like most other media-propelled biases, there is some truth to the stereotype. If you’ve been to a rave, you have most likely been asked either if you’re holding pills or if you want to take them. It’s just as common as going to a hip-hop show and smelling the aroma of weed smoke amongst the crowd (or from the stage) or going to a Phish show and seeing people tripping on LSD or ’shrooms. But in the latter two examples, the drugs remain a peripheral element to the music itself. So why is it that EDM can’t shake the MDMA association? Part of it is public perception. It’s hard to stand on a soapbox and say “EDM isn’t all about drugs” when the masses are rocking hats emblazoned with slogans like “Where’s Molly?” When kids who don’t know better become the poster children for an entire scene, no one wins. Another part is public education, or the lack thereof. With everyone from Trinidad Jame$ to Madonna freely bringing “molly” into the public consciousness via song lyrics or album titles, there are loads of uneducated newbies who are gravitating toward MDMA culture without any firsthand experience or knowledge. Thus, you have people taking more molly than seasoned drug users would ever take, with tragic results. Is that the fault of the music, though? And the more immediate question: How will the Electric Zoo disaster affect the future of dance music festivals? The popularity of illegal drugs in the EDM world is peaking at the same time that more corporate dollars than ever are being poured into EDM festivals and raves. Something has to give, and the cancellation of Electric Zoo’s final day portends a future in which scared authorities may choose to avoid the scene’s drug problem rather than address it head-on. And that would be a mistake, for a couple of reasons. 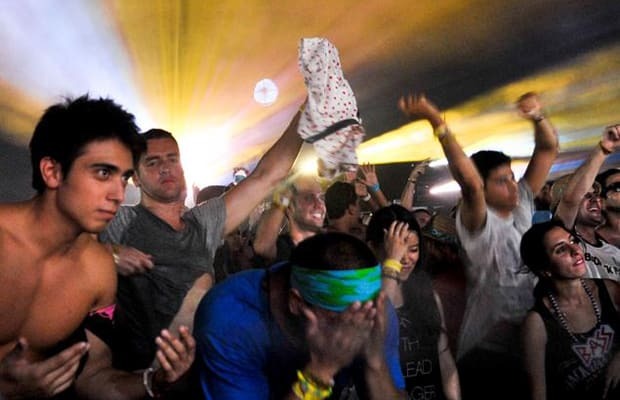 For starters: There are actually people who attend raves without touching a drug because—and we know this will shock you—they actually enjoy dance music. To some, it might be “repetitive noise,” but there are millions of fans worldwide who go to EDM events simply to enjoy electronic beats and massive bass, minus the mind-altering substances. Second: Drug abuse has always been an issue in music, across all genres, way before “EDM” was even a term. It has always been this way, it will probably always be this way. And again, it’s not exclusive to dance music; drugs get smuggled into clubs and concerts and festivals of many different musical persuasions. It’s not even exclusive to music. Ever go to Burning Man? Anyone on MDMA needs to stay hydrated, and with more festivals charging $5-plus for bottles of water, it becomes more difficult for neo-ravers to rehydrate. Hey festival organizers, how about a policy of free water, all the time, just because its the right thing to do. Since we’re in a cycle of drugs being illegal and kids flocking to the latest flavor of the month (which so happens to have the stink of Vicks all over it), we have to provide some kind of education. All of that starts with the right kind of education. That doesn’t necessarily entail condoning the use of drugs, but rather stressing access to the safest possible environments to prevent deaths. For example, an organization like DanceSafe not only provides drug information but it also actively tests pills, providing something akin to a needle-exchange program. Also, we need to see the return of the “chill out” areas at raves and festivals that have been unfortunately phased out over the last decade. These were places that someone who might be too out of it (for whatever reason) could escape the pulsating beats, get some water, and just calm down. And speaking of water: Anyone on MDMA needs to stay hydrated, and with more festivals charging $5-plus for bottles of water, it becomes more difficult for neo-ravers to rehydrate. Hey festival organizers, how about a policy of free water, all the time, just because its the right thing to do. No matter your stance on EDM’s drug situation, it’s clear that the scene is a long way from shedding its negative image. Just know that not all ravers are trying to go to Ultra or the EDC to get high and that, while the onus is on the rave community to right its own wrongs, the influx of negative mainstream attention will never change EDM from what it really is: a genre of musical art, not just a soundtrack to get fucked up to.